Alex Anfruns: The Spanish government has reinforced the police presence in Catalonia. Do you think this may put a stop to the referendum? In which way? Joan Tafalla: I think the strong police presence in Catalonia will be overwhelmed by the large masses that are participating in the process, organising in this moment, occupying schools and keeping them open until Sunday. The Mossos (police force of Catalonia) have been ordered to shut down schools and keep them closed, and the remaining police forces from the state are deployed in Catalonia to maintain law and order. But this deployment will not be able to contain or dissuade people from their expressed will to vote. AA: How would the Catalan society react if faced with the impossibility of casting a vote? JT: Catalan society is something larger and more complex than the popular movement for independence. In what concerns the latter, I have said: it will overwhelm any effort from the repressive forces of the state to contain it. There is the possibility that the local Catalan police will act in a way that is not too forceful and even somewhat permissive, at least until Sunday at 6 in the morning. AA: What consequences could the referendum have for the other peoples in the Spanish state? JT: I think that, as an essentially democratic movement, the movement for self-determination is now causing a certain breach in the regime created by the transition of 1978. It is probable that its example will allow for a reactivation of the independence movements in Galicia and the Basque Country. Now, in the remaining regions of Spain it may generate a certain resurgence of Spanish nationalism, that may allow the PP (Popular Party, currently in government) and the PSOE (Socialist Party, main opposition party) to hide their corruption and their inability to present any future prospects for Spain. AA: What is the social composition of the independence movement? JT: I have talked about a popular independence movement. But this description does not describe the independence movement in its entirety. Along with popular and working class sectors in the independence movement there are bourgeois sectors (essentially petty and medium-scale bourgeoisie), which have been leading the process up to now, and as such imprint their ideological and cultural orientation. AA: What are the economic interests at stake? JT: The reasons for the break among the dominant classes are various: the unbalances in the commercial and fiscal balances, or the intensification of the industrial/commercial competition between different Spanish territories. 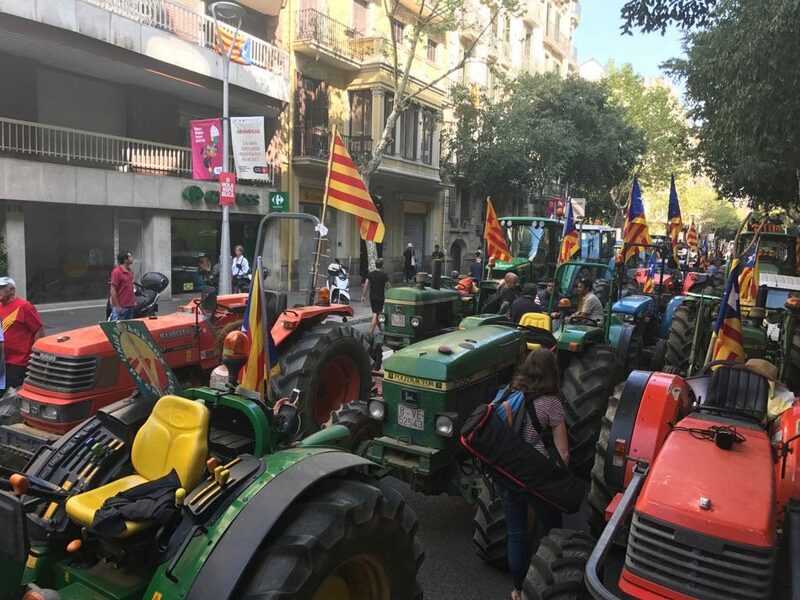 For example, the competition between the Madrid and Barcelona airports, the issue of the Mediterranean corridor or the management of the Barcelona and Tarragona ports… at a time when Catalonia has ceased to be an industrial locomotive in Spain. AA: Is there a lesson from history that might be useful to recall in this context? JT: The modern political nations are imagined communities created on the back of bourgeois revolutions. In Spain the creation of the political nation was flawed, in complete opposition to what happened in France or Germany. It has often relied more on coercion than on hegemony. This article was posted on Saturday, September 30th, 2017 at 3:17am and is filed under Interview, Spain.